Payment-over-time models are only set to grow in popularity thanks to their versatility and seamlessness. There has been a notable shift in the way consumers are paying for their goods and/or services. 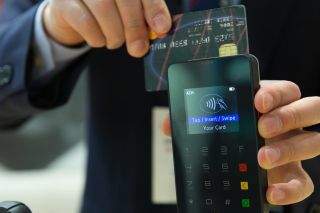 No longer are they as obsessive with owning the products that they purchase through large one-off payments. Instead, we are seeing shoppers gravitate towards a future that consists of purchasing items through several smaller payment instalments. In fact, many of us are already using this exact model to pay for expensive items that we see as necessary items in our everyday lives, whether it be a mobile phone to communicate with friends and family or a vehicle to commute to and from work each day. It therefore isn’t much of a surprise that we are seeing businesses from across all kinds of sectors taking this consumer-based model and applying it to the corporate world, helping them to purchase the assets they require on a payment-over-time basis. The most obvious advantage — and the one that convinces many shoppers and businesses to go for a payment-over-time model in the first place — is that there are no substantial payments (some of which can be potentially crippling amounts) to be made at any stage in the process. Instead, the cost is broken down and paid for over a pre-determined period of time. It’s the difference between making a single £800 payment for a smartphone or opting for much more comfortable monthly payments of roughly £22 over a period of three years. Secondly, choosing to adopt many of these payment-over-time models means that businesses have an unprecedented level of freedom which allows them to continually upgrade and refresh their required assets across the duration of the payment plan. If a business hits the two-year mark on their contract and decides the laptops that it used through a payment-over-time model are outdated, for example, it can update those laptops quickly while also adjusting the monthly payment figure accordingly. This allows senior teams to ensure they are matching the investment costs of the business with the benefits being delivered over a number of years. The impact of this so-called ‘renter society’ on the way businesses are choosing to operate has extended into the systems integrators market, which has in turn introduced a new era of innovation in an industry that has typically stuck to more traditional operating methods in recent times. With customers slowly becoming more accustomed to new, more modern methods of procuring goods and services, integrators are left with no other option than to adapt and evolve the methods in which they take their various solutions to market. Historically within the integrators sector, the process of doing business has been fairly traditional. A customer might choose to buy hardware from one supplier, services from another supplier and software from someone else entirely. This used to work perfectly well for all parties involved, but it does nothing to appeal to our modern-day renter society sensibilities, and this could now even be perceived as an antiquated way of working, especially to the younger generations among us. In an attempt to modernise this model, suppliers started partially bundling certain offers together, which as a consequence, would reduce the number of overall suppliers required by customers — hardware might have been pre-configured with software, for example — but this still didn’t deliver the seamless and streamlined process that customers were really craving for. Fast forward to the present day, and we are seeing another brand new business model emerging; one in which suppliers are providing not just the technology required by customers, but all of the accompanying services that are wrapped around it as well. This not only helps to simplify the procurement process for the customer by reducing the number of suppliers, but it also provides a single service payment approach. This is a definite win for the systems integrators themselves, as it means they are able to target a much wider customer base with a model that is both more affordable and attractive to them. It can also prove to be a very useful approach for companies that are looking to stay ahead of the curve as digital technology continues to advance and evolve. It’s important to remember that this shift towards a payment-over-time-dominated future is happening now, but integrators should not see it as a force for negative disruption. Instead, they should see this as a positive move; a window of opportunity that will allow them to reinvigorate the industry to meet (and potentially exceed) their customers’ expectations. However, the unfortunate truth is that despite this opportunity in front of them, a large percentage of integrators will probably approach it with a certain level of scepticism, and this makes sense to a certain degree. If the traditional business model has worked for decades, it can be daunting for organisations to make such a drastic change. On top of this, there is often a knowledge gap that prevents many integrators from making the right decisions. For example, they might understand that a payment-over-time model is the best choice for their business going forward, but they might be less certain over what technology is required to maximise productivity and efficiency. This is where working alongside a trusted digital services provider can prove to be a massive help. The right provider will be able to deliver guidance and help at every step of your business’ personal digital transformation journey, from creating and formulating your new offerings to actually implementing and preparing them to go live to market. It’s one of the most effective ways of ensuring the right decisions are made at the exact right times. There is no doubt that the systems integrators market will continue to evolve, both in terms of the digital technology that forms a part of it and the services being provided. This will require the integrators themselves to continually refresh and update their assets as a consequence, and so payment-over-time models are only set to grow in popularity thanks to their versatility and seamlessness. For integrators who want to stay ahead of the competition today, they must take up these models as soon as possible and show the competition what it is missing out on.